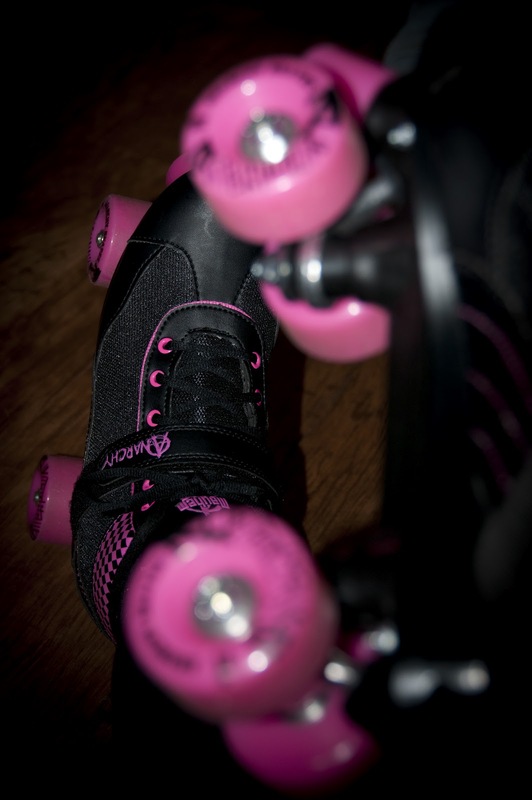 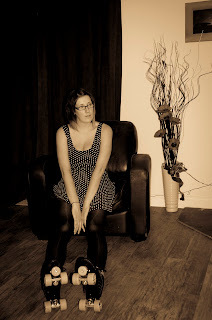 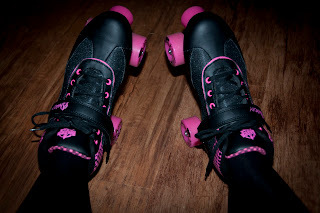 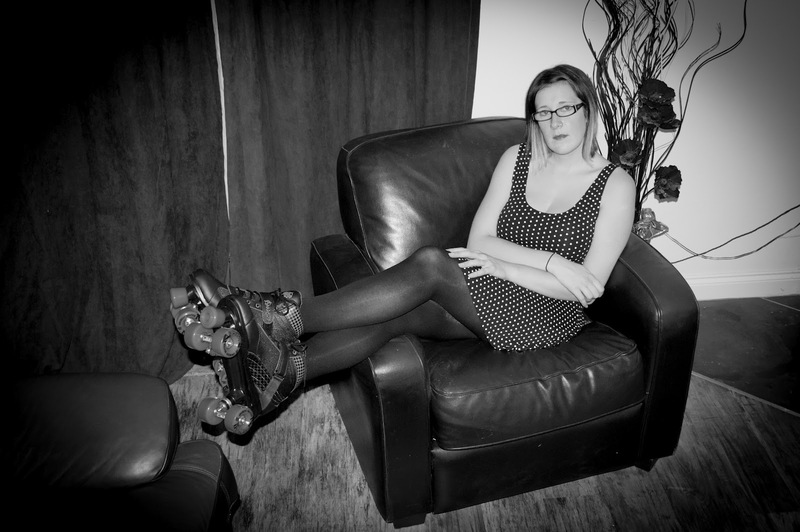 As some of you may know i recently joined a rookie night to try out roller derby in Newquay with the Atlantic Breakers. 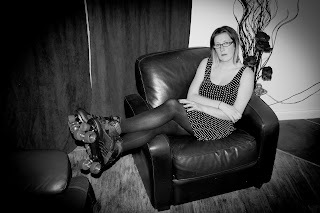 After much wobbling and falling over i soon started to get the hang of being on wheels. 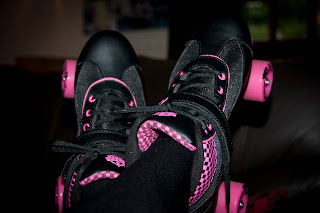 I now try to go skating with the girls at least twice a week, and although i am no where near the standard i need to be to compete in actual matches i'm having loads of fun learning how to skate in derby style. 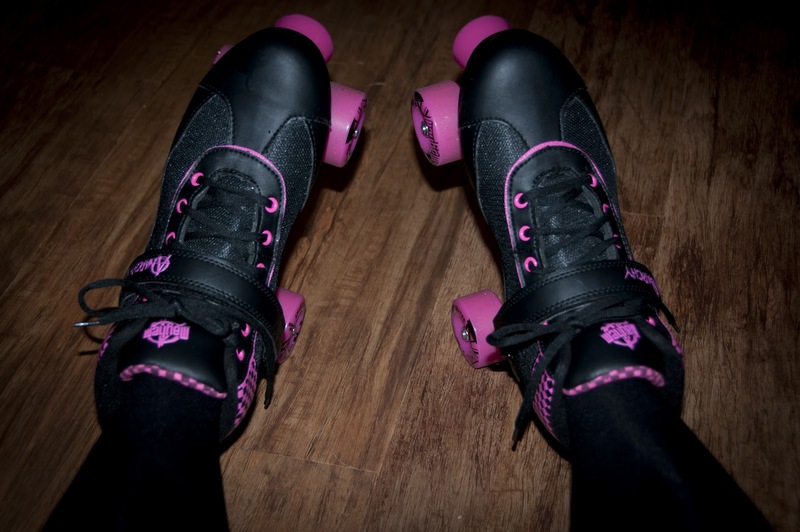 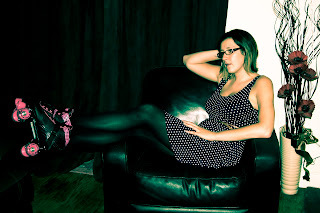 Here's my new skates complete with pink wheels and checkered ankle supports and tongue. A massive part of me is the hot rod styling of checks on everything so i love them.